The New Year party poppers and fireworks are a distant memory, but the hangover continues, with a slow start to 2018 for gig-goers. 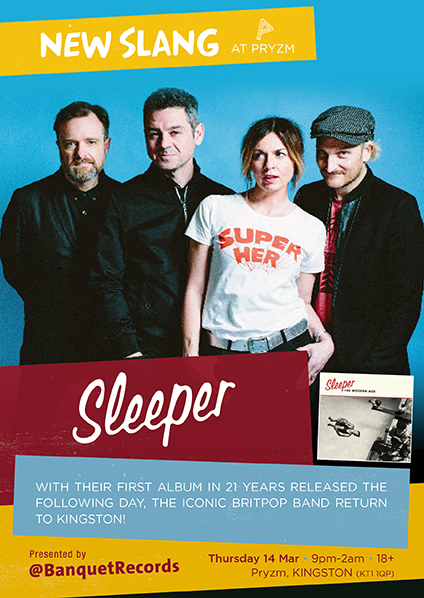 Fans of the late Ian Dury can sing along to his new wave funk and rock backing band The Blockheads (March 3), while Britpop icons Sleeper drop in as part of their first live tour for 19 years in what, for them, is a ridiculously intimate show. Expect Louise Wener and gang to belt out everything from Statuesque to Sale of the Century and Nice Guy Eddie.